Wetherby and District Foodbank is committed to protecting your privacy when using our online services and will process any personal data in accordance with the current Data Protection Legislation. In this policy we explain how and why we collect your information, what we do with it and what controls you have over our use of it. Wetherby and District Foodbank places a great importance on the security of all information associated with our users. We have security measures in place to protect against the loss, misuse and alteration of any user data under our control. It is very important to us that we provide you with the highest level of service. If you have subscribed to regular updates from Wetherby and District Foodbank we may send you details of activities and opportunities which we think may be of interest to you. 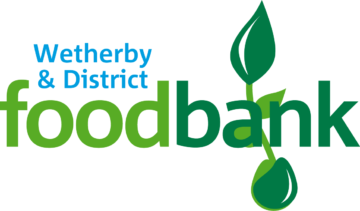 If at any time you do not wish to receive these details, please e-mail us at [info@wetherbyanddistrict.foodbank.org.uk]. In this instance, we may keep suppression data – this is a record that you have either unsubscribed or indicated that they you no longer wish to be contacted by us. We retain just enough data to make sure that you are not included in any future communications. Our website contains links to the sites of third parties. When you visit these sites, we suggest that you read their privacy policies. Wetherby and District Foodbank is not responsible for the privacy policies or the content of such sites. Wetherby and District Foodbank also maintains a presence on social media channels including Facebook & Twitter. If you share content from one of Wetherby and District Foodbank social media websites, a cookie may be used by the service you have chosen to use to share that content. Wetherby and District Foodbank does not control these cookies. You should check the relevant third party main website for more information.